Tom Chung’s most recent offering, a techy table lamp with a trick up its sleeve, began as many great designs do: with a void. In 2016, the Emily Carr grad took on the interior redesign of his parents’ Vancouver home. “I couldn’t find a lamp that would cast light on either side of a space-dividing bookshelf,” says Chung, who was inspired to create his own. He prototyped a lamp that poured light from opposite ends of a cylinder; a knob could be turned to direct the beam out one end or the other, or both, with varying amplitudes. 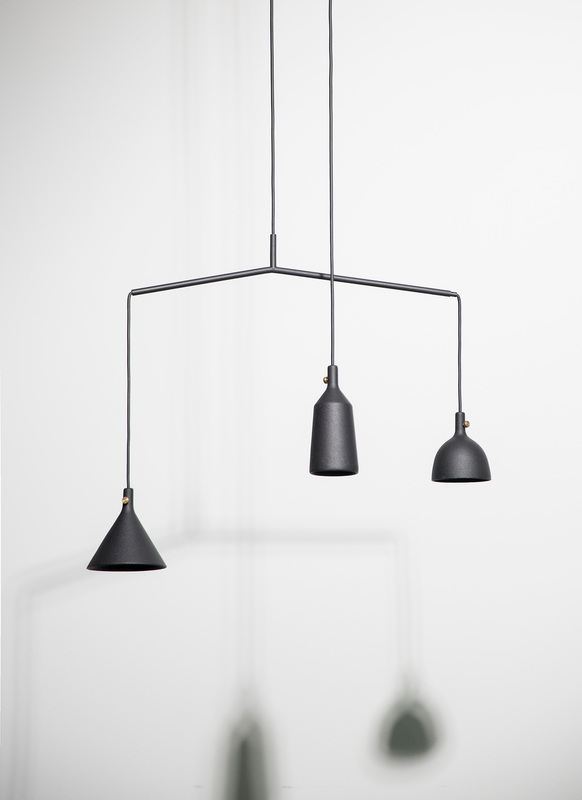 Chung debuted the design at the Stockholm Furniture & Light Fair in 2017, where it quickly showed up on the radar of Scandinavian homewares brand Muuto. 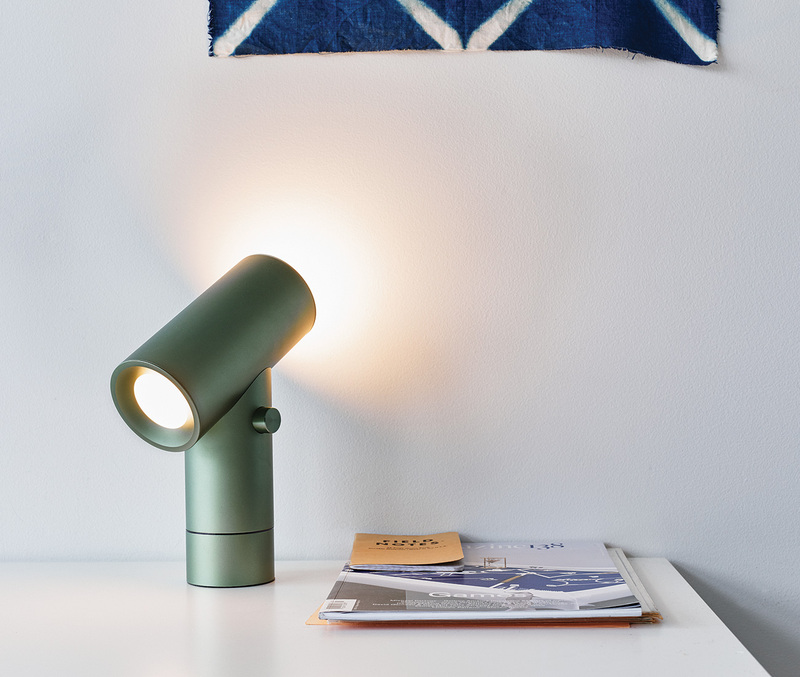 They launched the designer’s remarkable Beam lamp late last year, featuring an elegant anodized aluminum body that provides direct lighting or an ambient glow. 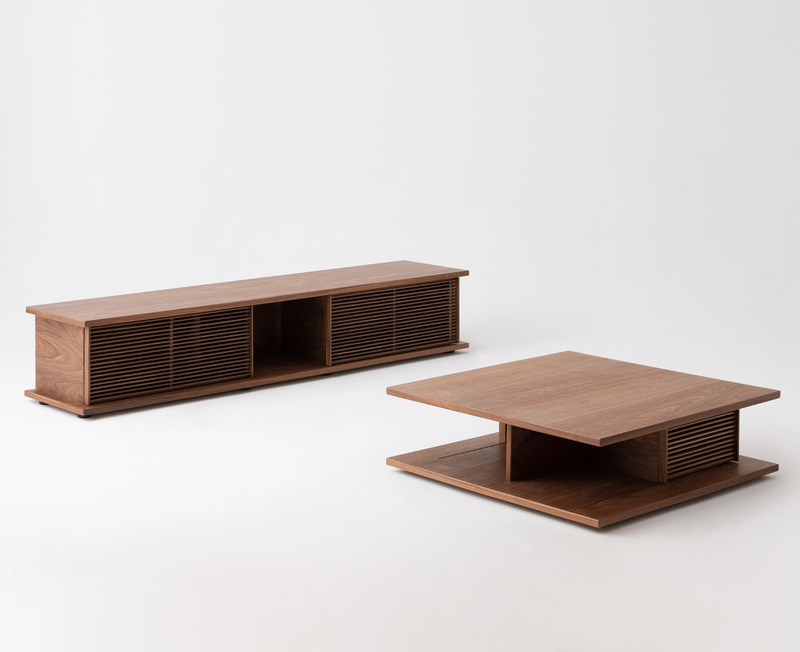 The Plank media unit and coffee table, shown here in walnut, are recent product introductions for EQ3. Only three years into his own practice, the 28-year-old has accrued multiple editions and interiors. This year, Chung will release a casegoods collection with EQ3 (recently awarded a DL Loves tag at IDS) that leverages the company’s Winnipeg upholstery operation to create modular cabinetry with fabric or wood-slat sliding doors. 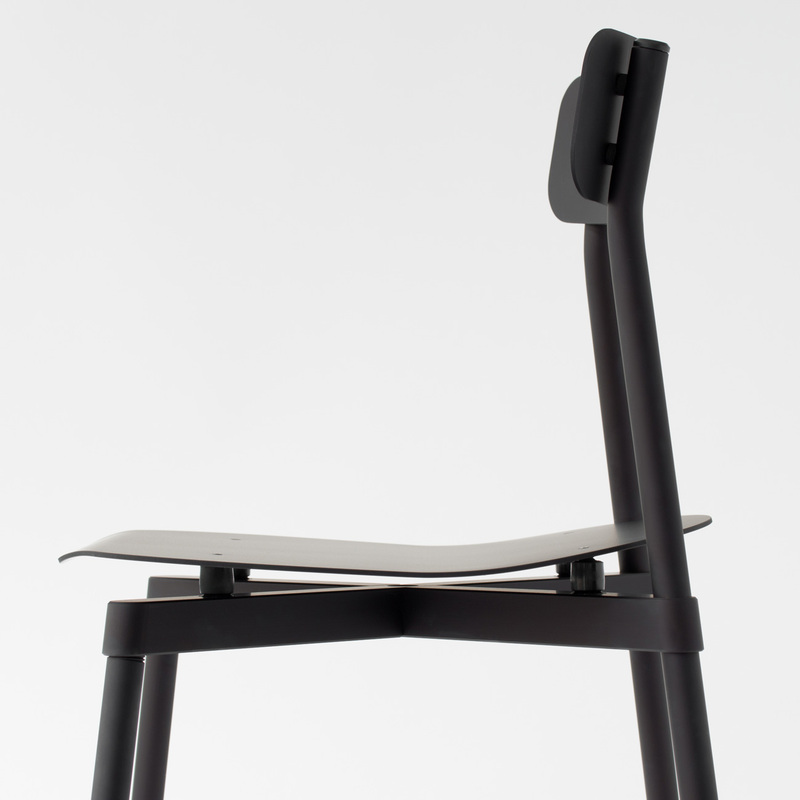 A mock-up of Chung’s Fromme chair. 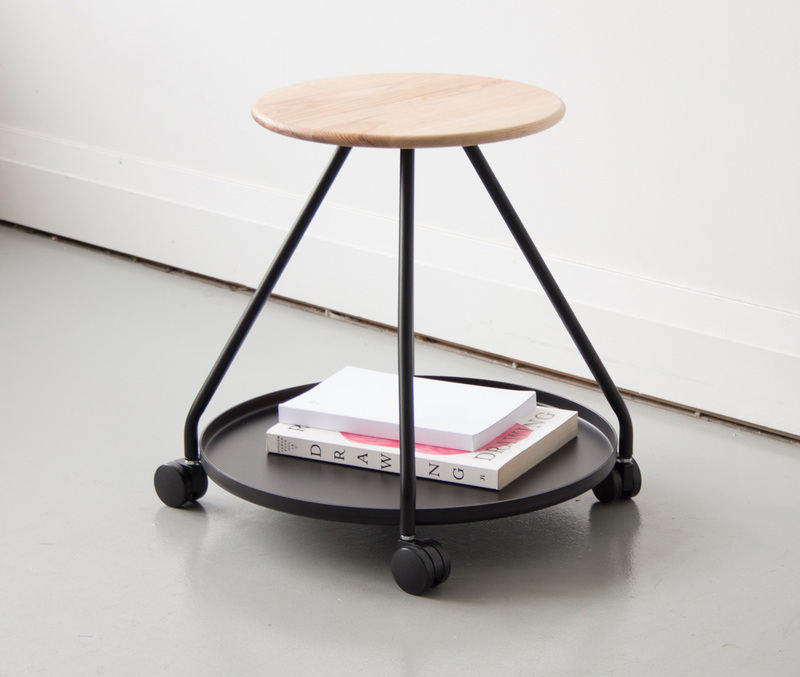 Chung’s flat-pack Hover stool for Umbra Shift. 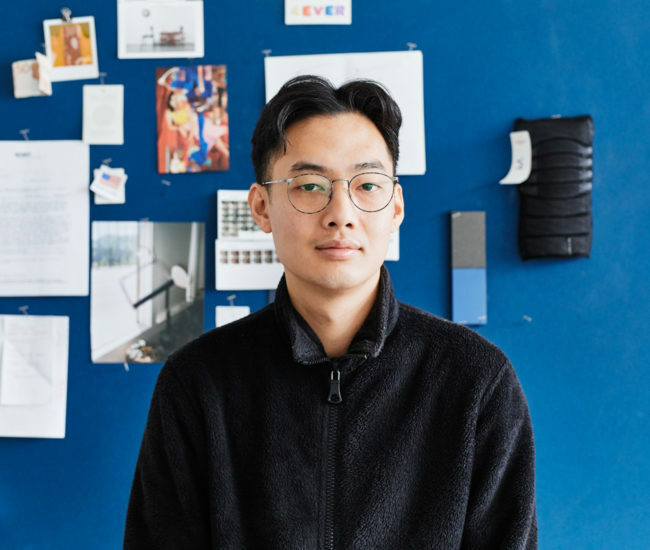 Much of this savviness is no doubt a product of Chung’s roots at Umbra, where he helped develop the first Shift collection – the game-changing new direction that saw the Canadian company move from plastics to craft materials. 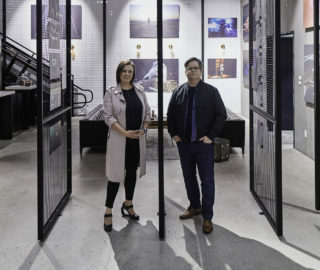 “That enlightened the production pathway for me,” says Chung, who worked with Umbra’s material vendors and travelled around the world visiting metal factories and ceramics suppliers, as well as weaving and wood workshops. 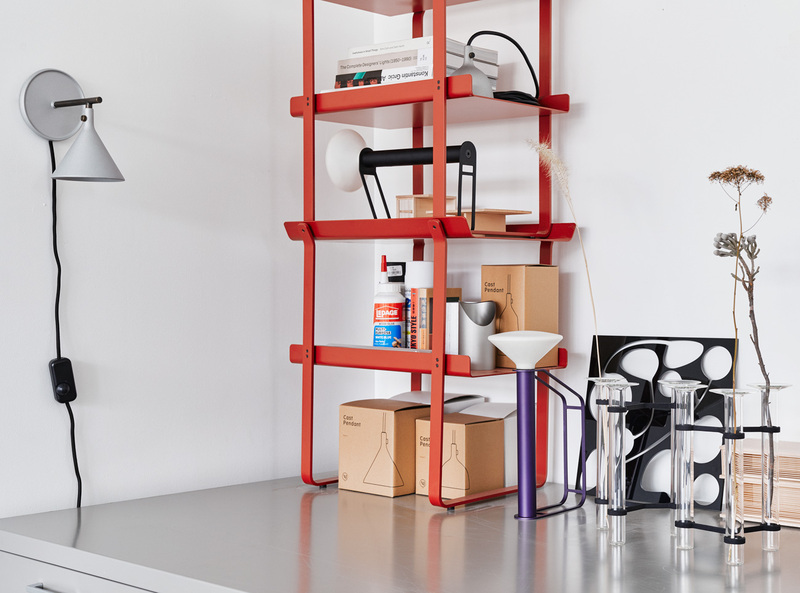 Lighting, furniture and accessory prototypes occupy every corner of Chung’s studio space. 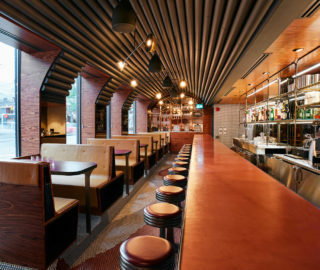 Chung’s newest venture, Part & Whole, returns the designer to this holistic role. 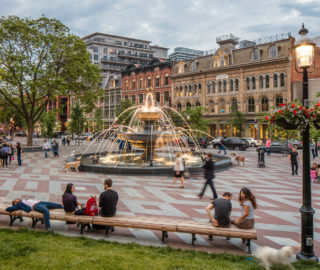 The Victoria-based company, which he consults and designs for, will focus on 3D-knit sofas, which are more affordable to produce than traditional pattern cutting and result in near-zero waste. Aluminum Cast pendant for Menu, designed with Jordan Murphy. And while the end buyer might not see these agile manufacturing systems, they’re certainly passed along in price, turnaround and accessibility. What does end up on display are visual expressions of necessity and restraint – pieces that feel as wise as they do alluring. 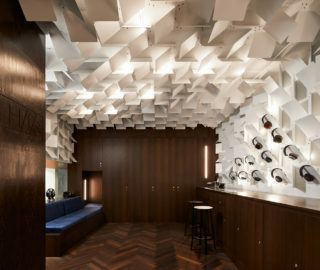 Like all of Chung’s work, it’s the production backstory that truly powers the design. 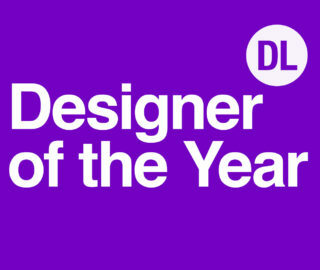 Originally published in our Designer of the Year 2019 issue as Tom Chung.